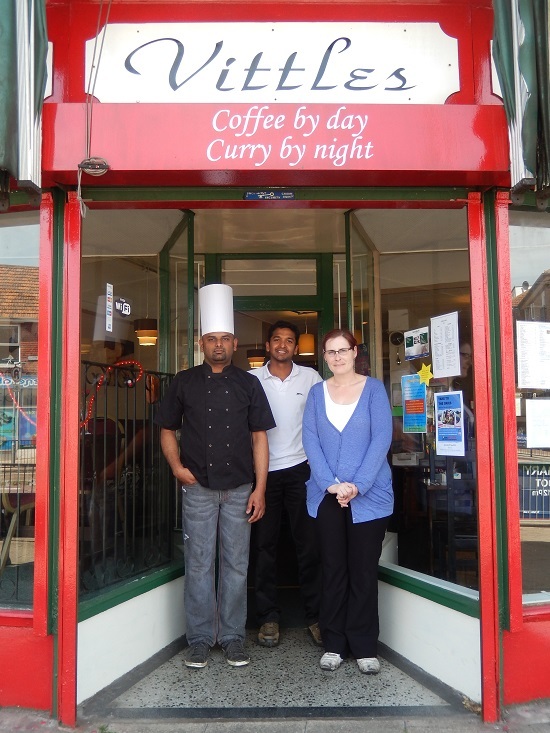 A café, popular within the Filton community, has launched a new curry evening. Vittles, in Gloucester Road North, has been running its curry nights for over three weeks, and has proved a welcomed addition to its daytime café. Food is cooked by south Indian chef Bharani Chand, who has worked in the industry for over 12 years. a range of speciality Indian dishes, including biriyanis and dosas. A delivery service is also available on the curry evenings, which runs from Tuesday to Sunday, 6-11pm. Vittles has been running for 14 years, but was taken over last January by Noble Dani. Noble said: “We're really trying to push the quality of the food at an affordable price. Feedback about the curry night has so far been very good. During the day, the venue still continues as a cafe, serving up cakes, breakfasts and lunchtime roasts, plus a "meal of the day". Rhian Smirthwaite, who has worked at Vittles for nine months, is in charge of all the baking. Her brownie recipe was passed on from her great grandmother.